Arsenal will play seven-time European champions AC Milan in the Europa League last 16. The Gunners will travel to Italy for the first leg on 8 March, with the return match a week later. Milan, who are seventh in Serie A, beat Bulgarian club Ludogorets Razgrad 4-0 on aggregate in the previous round. 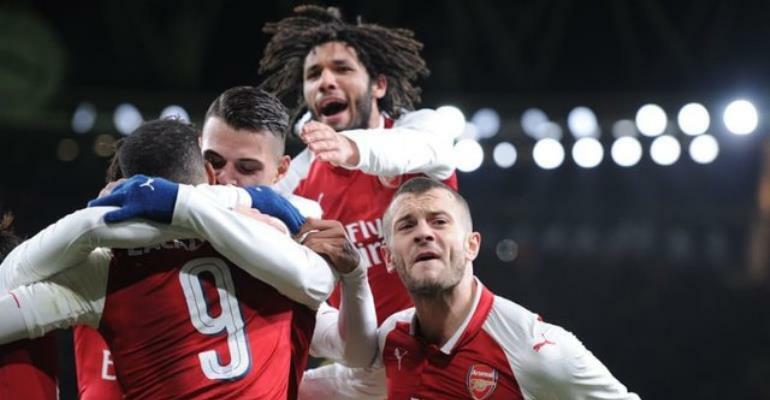 Arsene Wenger's Gunners beat Swedish minnows Ostersunds FK 4-2 on aggregate in the last 32, despite a "complacent" performance in Thursday's second leg. Wenger said his team "had no ideas with the ball" after they lost 2-1 at home to a side that were founded in 1996 and have risen from Sweden's fourth tier in seven years under English manager Graham Potter. Russian club Zenit St Petersburg, who knocked out Scottish champions Celtic, play RB Leipzig of Germany.